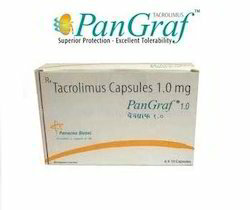 We are engaged in providing Pangraf Capsule. Our quality inspectors check the quality on several parameters to make sure the effectiveness and purity. These capsules are made by our experienced vendors; they have highly developed manufacturing unit. Moreover, we offer our capsules in different quantity that are available in different packing options. 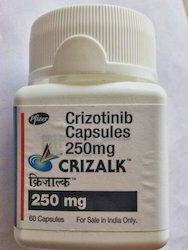 Our organization is engaged in offering a wide range of Crizotinib Capsule. These capsules are made using best quality ingredient that is approved from medical industry. Owing to highly developed infrastructure, we hold expertise in offering this range in diverse packing to meet the variegated necessities of our patrons. Furthermore to make sure the high performance of the capsules, our quality checkers examine these capsules before being dispatched in the market. 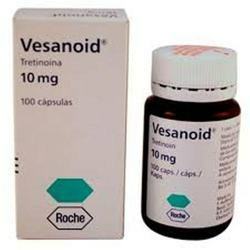 Owing to our proficiency in this domain, our company is occupied in supplying and exporting Vesanoid Capsule. Our vendors are formulated this capsules in compliance with universal medical standards. Moreover, our team of experts supervises this capsule at each stage, to keep quality standards up to the mark .Due to high demand; we supply our medicine in various packing options. Leveraging on our vast medical industry talent, our company is occupied in exporting Temotrust Capsule. Our offered Capsules are used to treat sick people. Provided capsule is made by using top quality chemical ingredient. This product is made by accomplished professionals, who have rich knowledge in this domain. Apart from this, we offer this Capsule in tamper proof packaging to our clients. 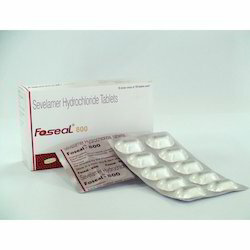 Foseal 800 mg tablet inhibits the absorption of phosphate from the intestine and lower the phosphate levels in the blood.